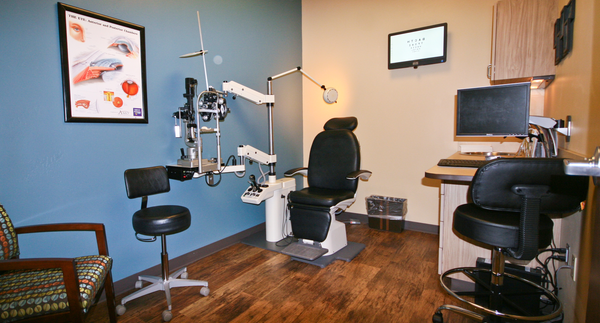 We are confident that we can provide the eye care you need. Below you'll find a list of some of the key eye care services that our Colorado Springs eye care practice offers. We are experts at managing many eye diseases, including glaucoma, cataracts, macular degeneration and diabetic retinopathy. Care plans are customized to meet each individual patient’s ocular condition and visual needs, so that our treatment is as effective as possible. Do you experiencing eye fatigue after sitting in front of a computer? Learn about protecting your eyes and preventing eye strain from computer vision syndrome and blue light. Dry eyes occur when your tear glands don't produce enough tears to lubricate your eyes. This condition can be uncomfortable and painful. Our eye doctors are experienced and knowledgeable about dry eye treatments. Our onsite optical lab is fully equipped to provide you with all your prescription eyewear needs, including producing new glasses, customizing lenses, and repairing old or damaged eyewear. To simplify things for our patients, we've created our Eye Health Library, a comprehensive library of vision-related information.